Summer is here and we at the Detroit Experience Factory (DXF) are looking to make this our most memorable one yet! Living in a state that experiences all 4 seasons, it seems that we appreciate the warmer months a bit more than most. 2017 is shaping up to be an exciting summer for Detroit, and for us here at DXF as well! It’s hard to believe it, but we’ve been at this now for over 11 years. 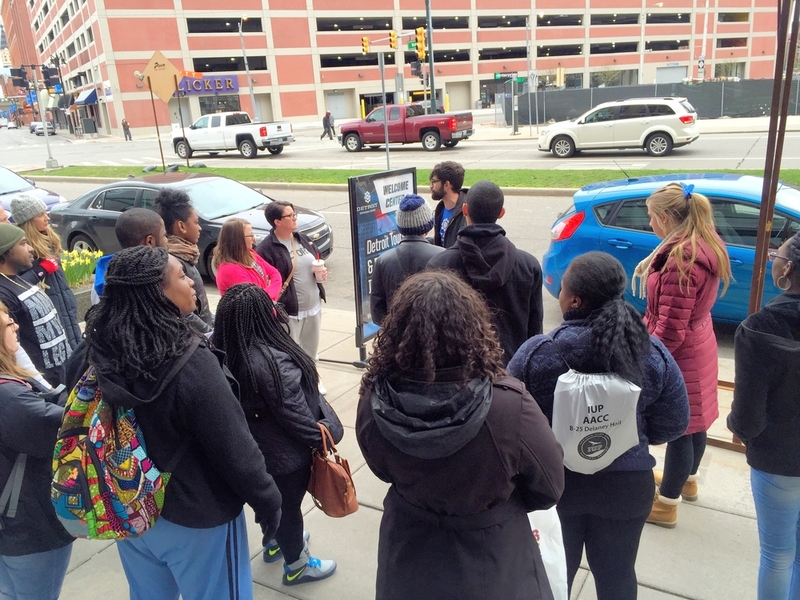 In that time frame we’ve taken over 85,000 guests on experiential tours of Detroit! For 2017 we’ve added 16 new public tours, bringing the total amount of unique tours offered this summer to 28! The best part? Over half of them are free and they’re offered almost every day of the week! Free QLINE Tour - Step aboard Detroit’s new light rail for a cruise along the Woodward Avenue Corridor. Sights include the entertainment district, Midtown, and New Center. 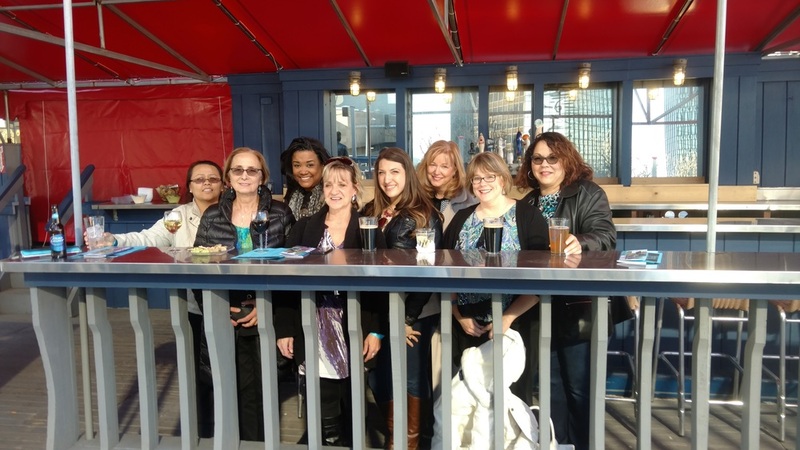 Free Neighborhood Walking Tour - This tour allows you to connect with some of the city’s most interesting neighborhoods outside of our Downtown like West Village, Grandmont-Rosedale and the Avenue of Fashion. 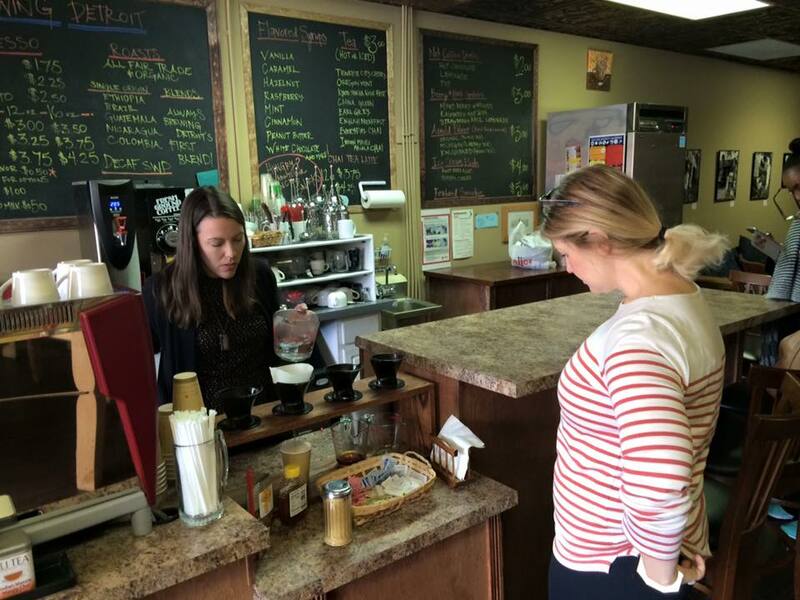 Small BIZ Tour - Experience a slice of Detroit’s small business community as we visit some of the wonderful and unique small businesses downtown. 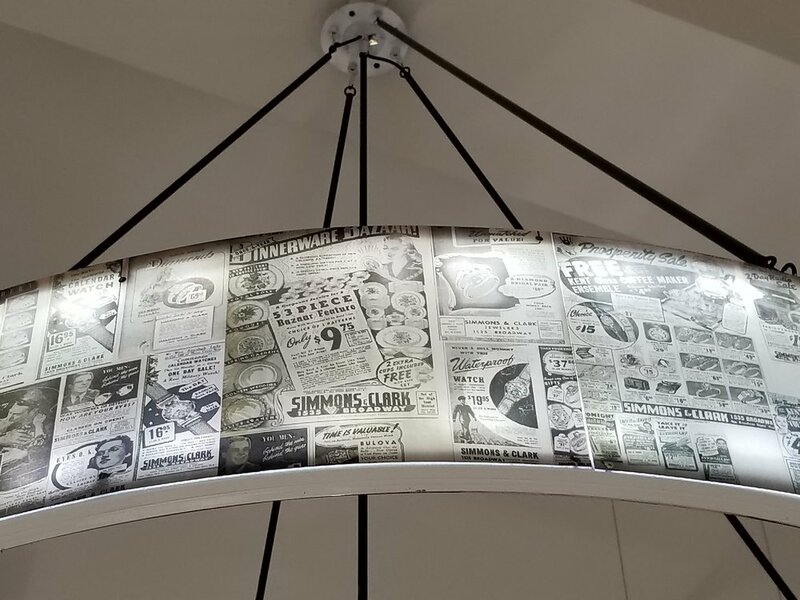 Art in the Market - From local, national, and internationally acclaimed muralists to galleries galore, you’ll find a new reason to love the oldest and largest public market in the country! One of my favorite things about our tours is that whether you're a lifelong Detroit resident, new to the city or just here for the weekend, our tours will both entertain and educate. Our entire team is passionate about the City and it shows in what we do. We're looking to forward to having you on a tour so you can experience for yourself the deep history of the City, the exciting things currently happening as well as what's in store for the future. For the full DXF Summer Tour Schedule, please click here. Follow us on your favorite social media platform! Instagram, Facebook, Twitter. About the author: Nadir Ali is a lifelong Detroiter and Communications Manager at the Detroit Experience Factory. 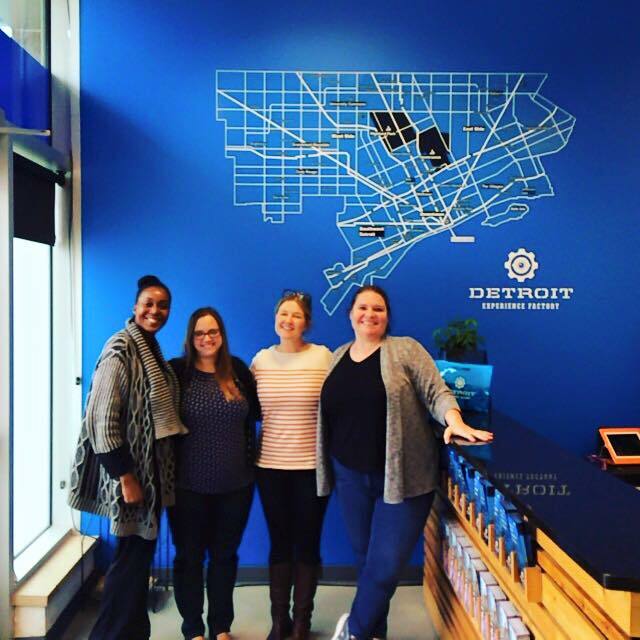 One of our DXF tours visiting the Spirit of Detroit. 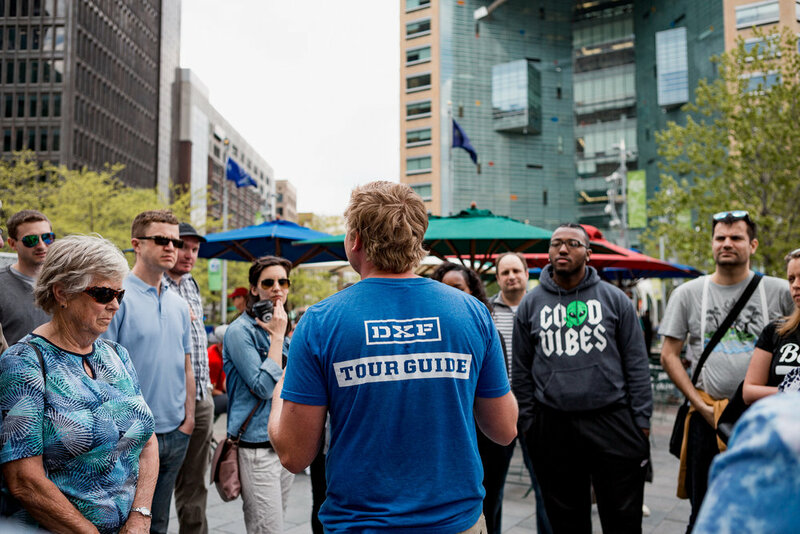 The Detroit Experience Factory (DXF) is excited to partner with the Art+Design Track of Detroit Startup Week (DSW) to offer an exciting bus tour opportunity! In addition to the bus tour, we will also be working with DSW to provide routes for the buses in between the different venues. 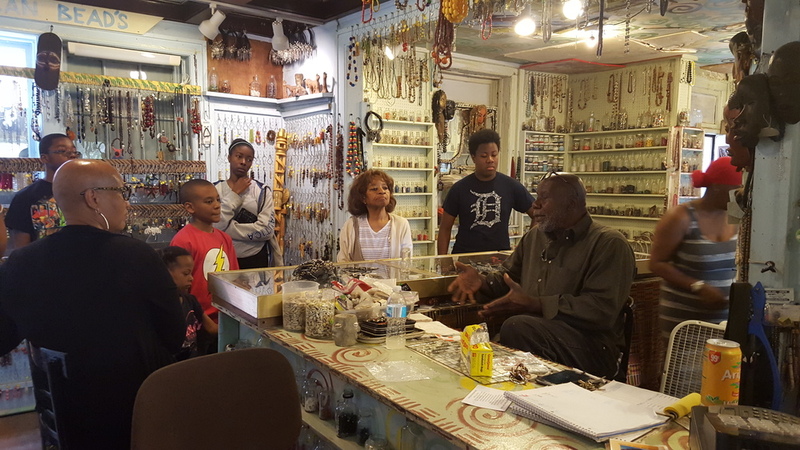 Learn about the past, present and future of Detroit’s Livernois neighborhoods and the role of design in redevelopment in a two-hour bus tour exploring the northwest neighborhoods of Detroit with Detroit Experience Factory. Stops include Detroit Fiberworks, Eric’s I’ve Been Framed and a one-hour stop at the I’m Here/Dickinson By Design Urban Redevelopment Open House for live music, drinks and a talk with Motor City Match winner Chad Dickinson. 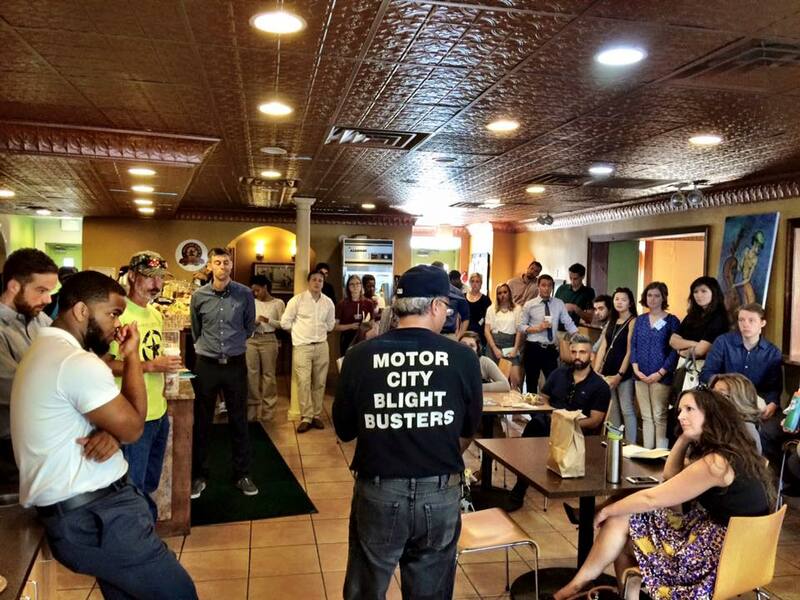 Are interested in being involved in Detroit Startup Week? Check out the volunteer sign up and info page. 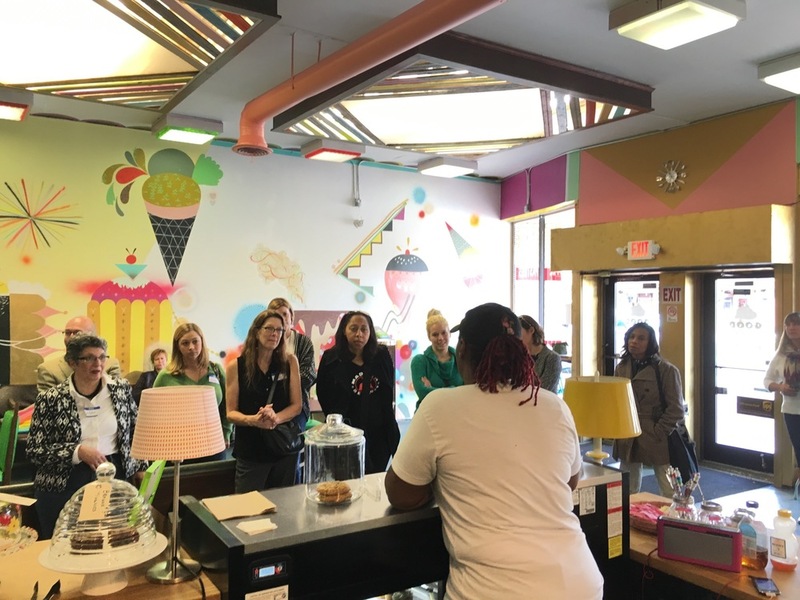 Join us on our Tasting Tour as we visit some of the wonderful and unique small businesses in downtown Detroit. Sample products, meet the owners, see major developments and historical spots while we walk between shops downtown. Detroit is full of innovation and inspiration and during this tour you’ll see how those themes are woven throughout the city. We will take you inside Detroit’s most innovative projects where you’ll have the opportunity to meet the doers that are inspiring people near and far. The route also includes a sampling of Detroit's neighborhoods including Downtown, Midtown, New Center, Brightmoor, Grandmont-Rosedale and Palmer Woods. Whether you’ve been in Detroit a day or a lifetime this tour will give you a better understanding of Detroit’s people, places and projects. Transportation option from Grand Rapids. Visit three great bars that have stood the test of time, are are full of character and characters alike! There will be fun Detroit facts along the way, drink specials and maybe even some free food or drinks! We'll start at the Anchor Bar, then stop by Tommy's Bar & Grill before ending at the night at Grand Trunk Pub. All attendees must be 21 years of age or older. 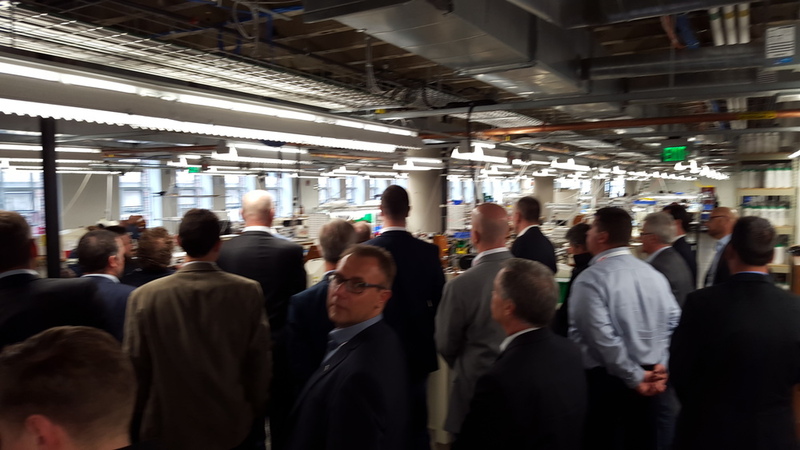 Detroit Tour with DTE and state legislators: Representative Bill LaVoy (D-Monroe), Representative Julie Plawecki (D-Dearborn Heights) and Representative Jim Runestad (R-White Lake). On Saturday, September 12 we joined WDET and Data Driven Detroit on an interactive look at Detroit Parks. 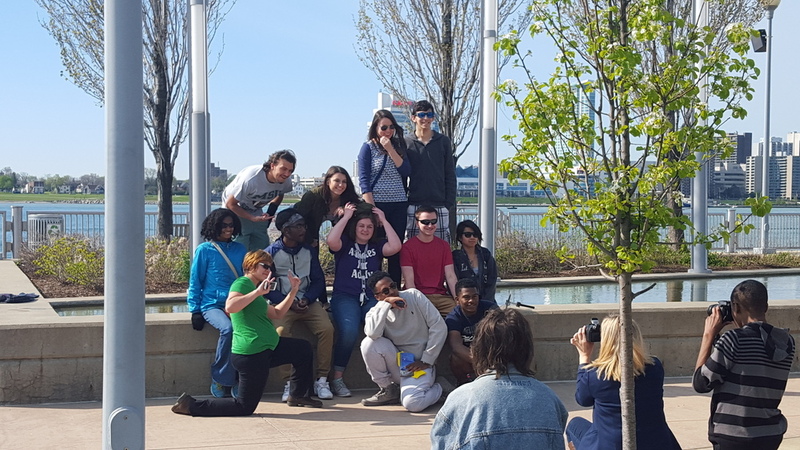 This tour showcased several very different Detroit parks, including the city’s largest (Rouge Park) the most controversial (Riverside Park), and one of the most youth-oriented (Clark Park). Find out more about WDET’s Detroit by the Numbers series and the station’s Parks Project. Keep an eye out for our next Parks Tour or attend one of the many events hosted at Rouge Park or Clark Park. 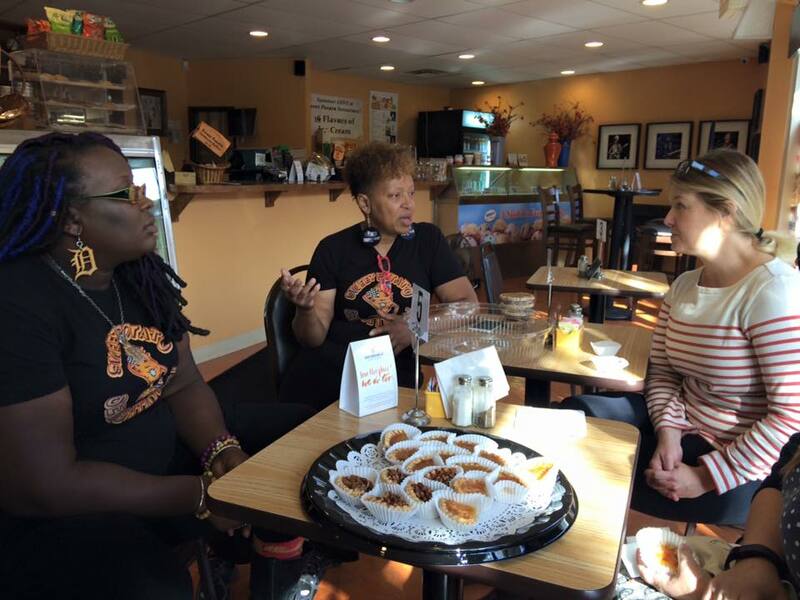 On our Tasting Tour as we visit some of the wonderful and unique small businesses in downtown Detroit. Sample products, meet the owners, see major developments and historical spots while we walk between shops downtown. Join us as we hit up some of our favorite Happy Hours in Downtown Detroit. We'll start at Anchor Bar before going to Grand Trunk Pub and ending at Checker Bar. There will be fun Detroit facts along the way, and maybe even some free shots! All attendees must be 21 years of age or older. Saturday, September 5, 2015 from 11:00 a.m. to 1:00 p.m.
Saturday, September 19, 2015 from 11:00 a.m. to 1:00 p.m.
From the stunning natural landscape of Belle Isle Park, the largest island city park in the United States, to the bustling melting pot of food vendors at Eastern Market, we’ll explore some of this city’s most awe-inspiring and enduring destinations. 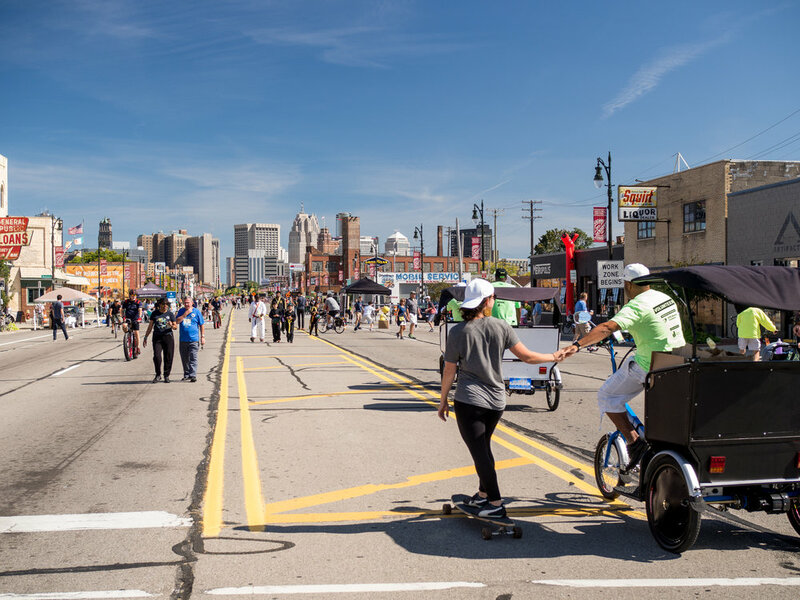 The route will pass through Detroit’s central neighborhoods, including Downtown, East Riverfront, Midtown, New Center, and Eastern Market. Excited? Curious? Ready to geek out? So are we. Did you know that the city of Detroit spends about $9 million annually on 307 municipal parks that cover nearly 4,000 acres of the city’s neighborhoods? Join WDET, the Detroit Experience Factory and Data Driven Detroit for an interactive look at Detroit Parks as part of WDET’s Detroit by the Numbers series and the station’s Parks Project. This tour will showcase four very different Detroit parks including the city’s largest (Rouge Park,) the most controversial (Riverside Park), an adopted park and one of the most youth-oriented (Clark Park.) 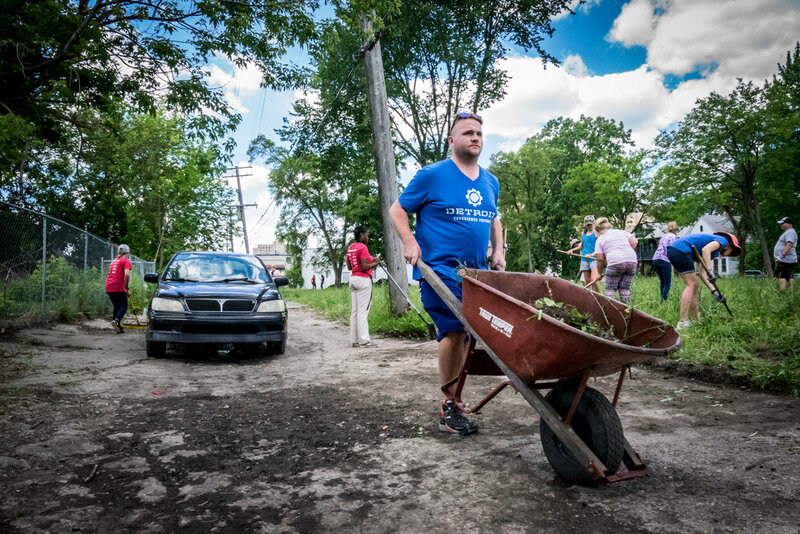 You’ll hear from community members who are helping care for parks, and WDET reporters and data experts who are exploring what parks mean to the city’s neighborhoods. And you’ll get to spend time giving your own report on the parks via the Detroit Parks Watch Project. Southwest Detroit is more than what most people know as Mexicantown. It not only encompasses the eclectic Corktown neighborhood but also stretches all the way to the Dearborn border. It’s a community that is growing and constantly improving through collaborations between private, public and nonprofit sectors as well as the community itself. This tour will show you the history, culture and community that make Southwest one of America’s most unique neighborhoods. Learn more on Model D.
Trying out several gourmet desserts at Downtown Louie's. You hear a lot about the many opportunities for grown ups to have a good time downtown, but even more fun can be had by children. This tour will take you on a visual scavenger hunt through downtown Detroit where children will have to find beautiful plants and animals in the art and architecture showcased on the tour. Looking to explore South of Detroit? Windsor, Ontario is your Gateway to Canada -- a culinary destination with a wicked nightlife and legendary music and arts scene. Encompassing 120 square kilometers or 46 square miles, Windsor is home to over 208,000 people. Its residents are predominantly English speaking, but Windsor is truly a multicultural city, playing host to people from all over the world. On this tour you’ll see major developments as well as unique shops, one-of-a-kind restaurants and some of Windor's great historical spots all from a Windsor insider. 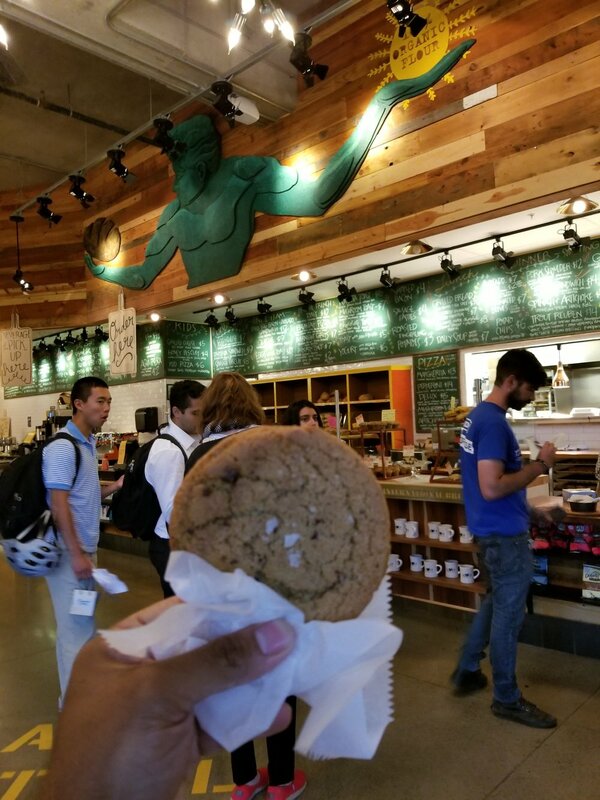 Join us on our Tasting Tour as we visit some of the wonderful and unique small businesses in downtown Detroit. Sample products, meet the owners, see major developments and historical spots while we walk between shops downtown. Stops include: Bon Bon Bon, GO! Smoothies, Slices, Woodhouse, and Blumz. DXF'S EXPERIENCE COORDINATOR CALVIN MOORE TEAMS UP WITH THE AVENGERS! Kiss atop the Z Lot! Photoshoot at Old Tiger Stadium! Preparing in from of Michigan Central Station. Join the Detroit Experience Factory for a tour through Frida and Diego’s Detroit. 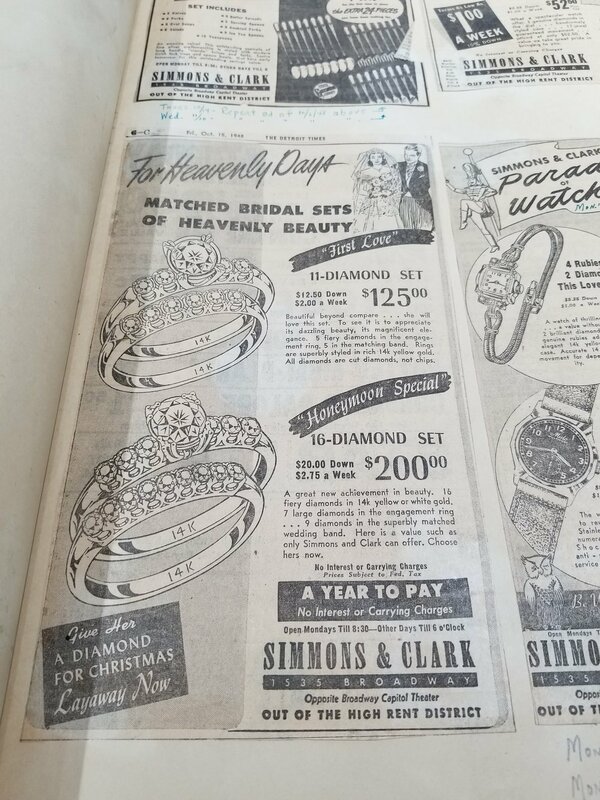 See the places and discuss the themes that defined Detroit in the early 1930s. Learn about the city in which both artists created groundbreaking work and find out why Detroit continues to be a place defined by industry, social change and the arts. June 16 from 5:30pm - 7:00pm, $15. July 11, 10am - 12pm with planetarium show at 1pm, $20 for adults $15 for kids.